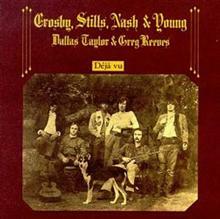 Today we return to 1970, the year Déjà Vu was released. We also return to quarreling band members and vocal harmonies, because not only The Beatles broke up in 1970, so did their American contemporaries of the sixties, Simon & Garfunkel. But before they did, they delivered the world a last pièce de résistance with Bridge Over Troubled Water. Paul Simon and Art Garfunkel met each other in primary school while growing up in the state of New York. The first group they formed was labeled with the artistic name ‘Tom & Jerry’. It was not until 1965 that they acquired world fame with their monster hit ‘The Sound of Silence’ as Simon & Garfunkel. Other albums and singles followed, until they recorded their fifth and final album Bridge Over Troubled Water, after which they broke up. Garfunkel was pursuing an acting career at that point, starring in the movie ‘Catch-22’. Remarkable detail: the role that was assigned to Simon was completely erased from the original script. 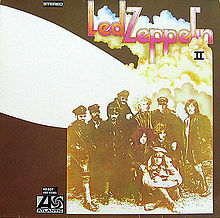 Bridge Over Troubled Water (on which Simon wrote all the songs except the covers ‘El Condor Pasa’ and ‘Bye Bye Love’), was named after the opening track which became a rock classic. Especially the piano work of Larry Knechtel, band member of Westcoast group Bread and session musician for amongst others The Beach Boys and The Mamas & the Papas, is outstanding. 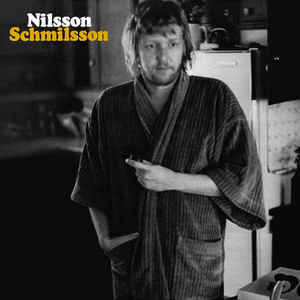 However, this track is not at all representative for the album, which contains very cheerful tracks like ‘El Condor Pasa’, ‘Cecilia’ and ‘Keep the Customer Satisfied’. ‘El Condor Pasa’ was based on traditional Andean folk tunes, brought together in a full-fledged song by the Peruvian Daniel Robles. Simon picked it up and made it the most famous western song featuring panpipes. It’s followed by ‘Cecilia’, and whether it’s about some lover or a songwriter’s block, it’s a real earwig. The trilogy of joy is completed by ‘Keep the Customer Satisfied’, one of my personal favorites. After all the joy comes resentment part one, with ‘So Long, Frank Lloyd Wright’. Originally, Garfunkel (who had studied to become an architect) just asked Simon to write a song about the famous architect Frank Lloyd Wright. Simon had no clue who this was, but turned the song into an announcement of the upcoming breakup with his former pal. Simon also addressed Garfunkel with the song ‘The Only Living Boy In New York’. 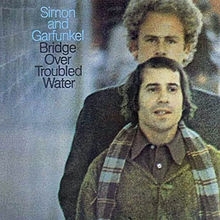 Garfunkel went to Mexico to act in his movie, leaving Simon behind in New York, writing songs for this album. 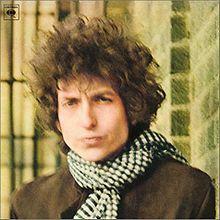 In between this tracks is a single (‘The Boxer’) and it’s B-side (‘Baby Driver’), which were released already in 1969. ‘The Boxer’ became one of the duo’s greatest hits, despite (or maybe thanks to) the lyric-less chorus. It’s an autobiographical song, with Simon telling us he feels unfairly criticized. He temporary filled in the chorus with ‘lie-la-lie’, but never came up with replacing lyrics afterward. The penultimate ‘Bye Bye Love’ is a live recording of a song most famous in it’s Everly Brothers version, later also recorded by former Beatle George Harrison. The duo reunited to tour again every decade since 1970, for example in 1981 with the famous concert in Central Park, entertaining over 500,000 people. Each time they play a range of songs from their last album, on which it’s crystal clear that this is a duo about to break up, but those guys decided to throw one big last party together.